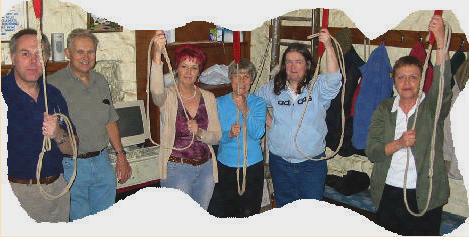 THE RINGERS We ring to: Worship and Celebrate: Weekly Church Services Festivals e.g. Christmas New Year Remembrance Sunday Weddings National Events. 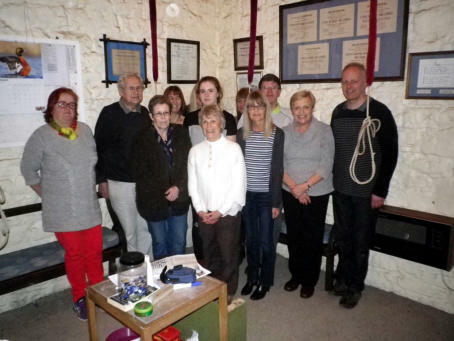 Outings: A traditional event for bell ringers is the annual outing, organised for ringers and their families. 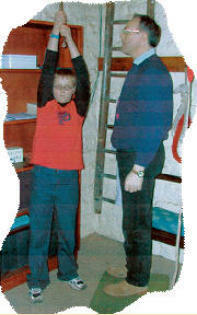 Sharnbrook organises two a year. One is a “one-day” outing where we ring in a small rural area at 4 or 5 churches, have a pub lunch, a picnic tea and is child friendly! A typical area is our Ouse Valley i.e. churches at Milton Ernest; Sharnbrook; Odell; Harrold; Carlton and Turvey. Our more adventurous weekend outings are usually held at school autumn half term. Our organiser books hostel accommodation where we are self-contained and can cater for ourselves. We have pub lunches and social evenings all together with food, games, quizzes etc. Examples of weekend outings include the Derbyshire Dales, and the Isle of Wight, ferry “abroad” for the children! 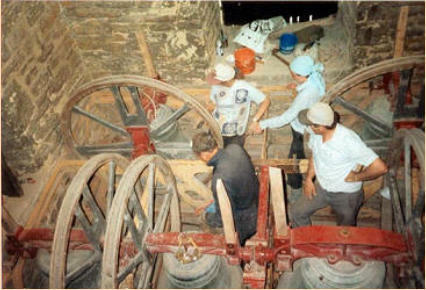 The picture shows us ringing in 1999 at St. Mary the Virgin, Westham in East Sussex and we stayed at the local Blackboys Youth Hostel.